Integrated with the site and the architecture, The Huddle addresses the school’s need for a shaded area outside the confines of the school building for parents, children, and staff to meet. 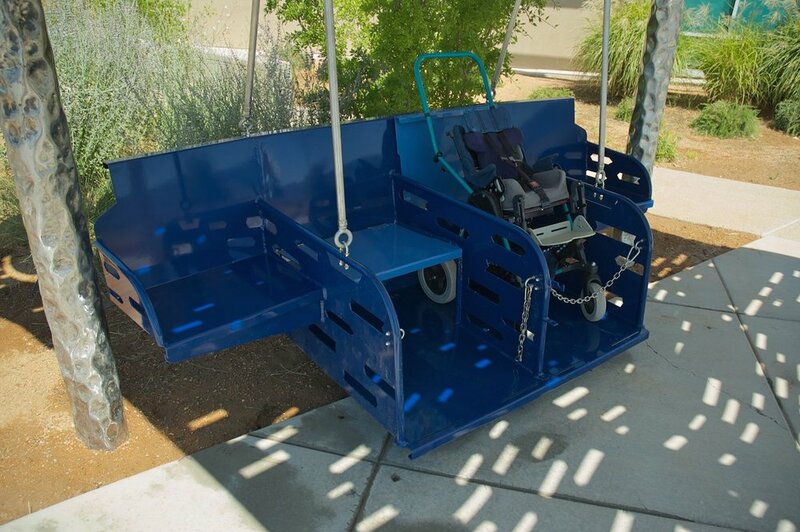 Supporting the notion of universal access and meeting the needs of the wheelchair-bound children, the gently swaying bench is designed for both wheelchairs and traditional seating. The streaks of sunlight on the ground help guide partially sighted children to the school’s front entrance.